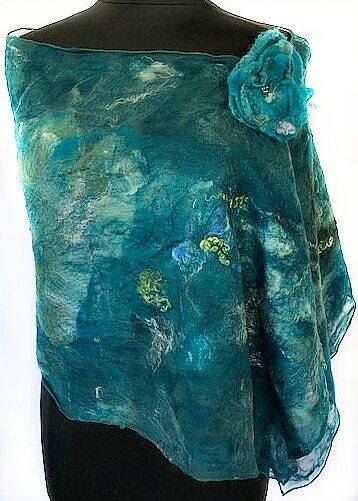 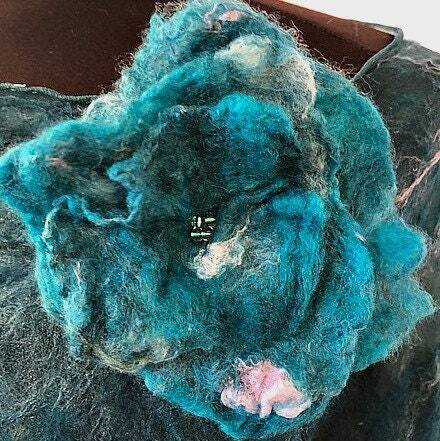 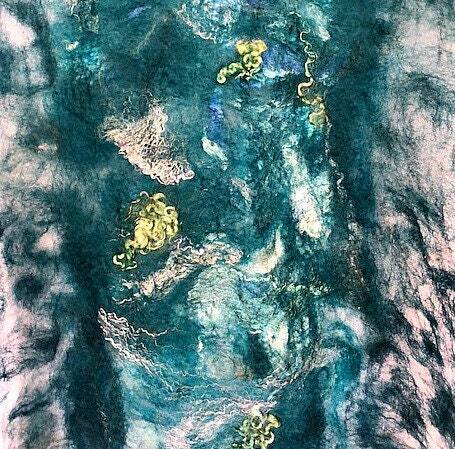 This Nuno-felted wrap was inspired by the mystery of the sea: deep teal blue with blue and green silk accents on a deep blue silk chiffon backdrop. 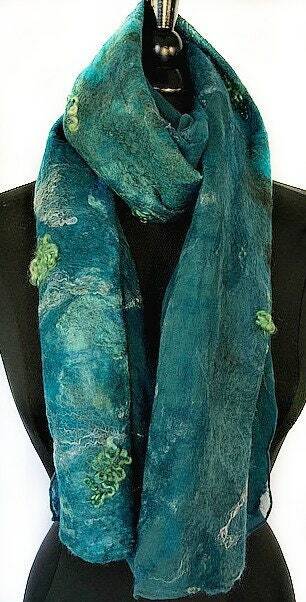 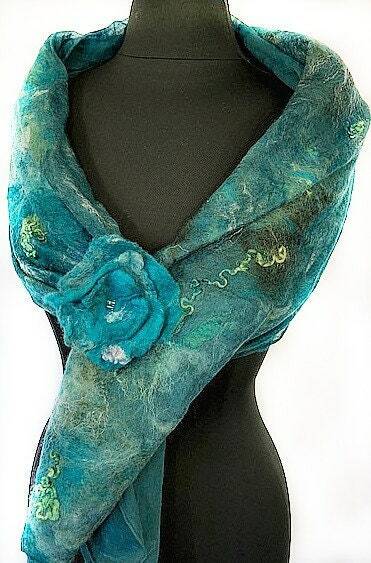 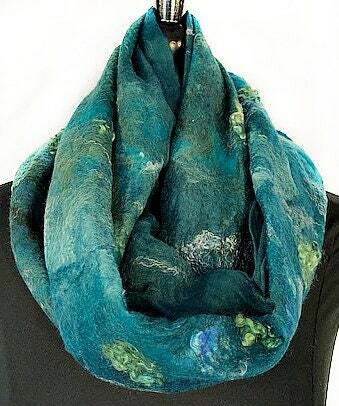 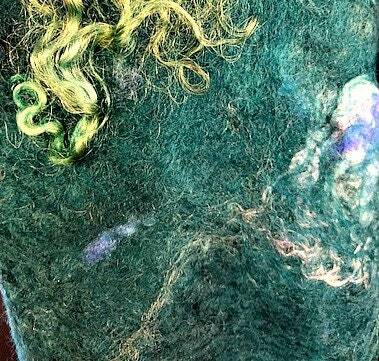 It was handmade through the process of wet felting using natural merino wool fibers and silk. 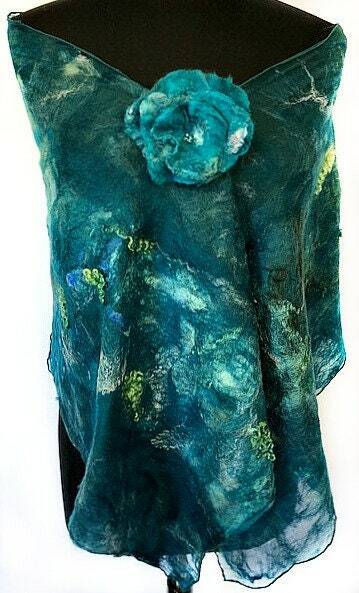 This unique piece is sure to glamorize any outfit and would also make a lovely wedding accessory!